Some people have green fingers, everything seems to bloom and grow healthily. It may be they have a special talent, but it’s not impossible for anyone to achieve good results. It takes time, care and a degree of knowledge gained by experience, or listening to sound advice. Rattan Direct are committed to delivering guidance on all aspects of garden care and design. Here they give five common problems that befall us in our gardening exploits. Since everyone’s patch of ground varies considerably from region to region, you should be aware of its specific characteristics. By testing it each year, you will know if it’s too acidic or alkaline, or has too much clay, or not enough nutrients. Changes that need to be made will depend on what it is you want to grow. This may take a bit of reading up, to see what can successful integrate into an overall layout. Inexpensive soil testing kits can be purchased at most hardware stores, they are not difficult to use. It is always a good idea to dig in organic compost, do this every year as a matter of course, mixed in with your soil. It provides natural nutrients, rather than using too much chemical fertilizers which may have an effect on the microbial action that is paramount for healthy growth. Too much watering is just as bad as too little, both will kill your plants. In essence what you are doing is actually drowning the roots. Inevitably they start to rot and your plants will die. Rather than trust to luck with a watering can, it is better to invest in a simple irrigation system. The plastic tubing is not expensive and in conjunction with a control device to regulate flow, you will have more success and also far less physical effort. 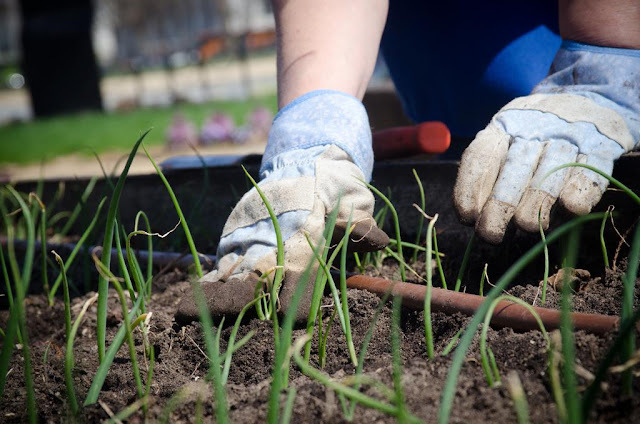 If for some reason you cannot afford to implement this system, because of costs or a large or difficult garden, then you have to pay close attention to the state of the soil on a regular basis. It will be obvious if it’s too dry, but judging if it’s too wet is slightly more difficult. Squeeze some earth together; if it forms a loose ball without oozing water then it’s about right. Plants will tell you fairly soon if they need watering, as many varieties will start to wilt especially on a hot day. Keeps an eye out for a few yellowing leaves appearing. Basically herbicides do their job very well; they can get rid of unwanted grass and weeds, but don’t forget they are a poison. Their effect can stay in the soil for many seasons. This means that although your cleared patch of earth looks prime now for planting, it could still be a death sentence for any new growth. If the chemicals were sprayed over the ground, then some of the liquid could easily diffuse over areas where you did not want it. A good gardening tip is to use boiling water and vinegar over a period of a few days. This is an effective natural solution, and leaves no harmful chemicals in the ground. Believe it or not, it is sometimes hard to tell if it’s a weed or not, especially if you have planted a lot of flower seeds. Rather than pull up the wrong plants by mistake, always use nursery tags, or lolly sticks, to inform and mark the place where you planted seeds. It’s best to follow the instructions on packets of seeds; otherwise you could end up with overcrowded patches, and have to thin them out anyway. Some plants such as tomatoes just love the sun, the more they get the better they thrive. This is the case with many vegetables, but not so for all, lettuces and peas prefer a bit of shadow. Many plants will much prefer to be in the shade; make sure you read up on the best situation for them. With some careful planning and a little experimenting, everyone should be able to develop the type of garden they require. It does take a lot of physical work, but the rewards are well worth it. Once you have a clearer understanding of how to control everything for best results, you can then start to really enjoy your garden. * This information has been provided by Rattan Direct, experts in garden furniture and design that naturally enhance your outside space.